Lost and alone in the wild, would you know how to survive? Would you know which berries were poisonous and which leaves could be eaten? Would you even know how to light a fire, or build a shelter? Unlike our ancestors, we are lucky enough not to have to know all these things, but if the worst were to happen and we really were stuck in the great outdoors, wouldn’t it be useful to know a few basic survival skills, just to ensure we made it through to the morning, when rescue would hopefully not be too far away? The advent of celebrity survivalists such as Bear Grylls and Ray Mears have made tackling the wilderness seem fairly easy, but is it really? What are you waiting for? Want to test yourself? With one of the many varied survival skills experiences, you can definitely test yourself. It’s a lesson you’ll never forget although hopefully you won’t need to use what you’ve learned in a real life situation! 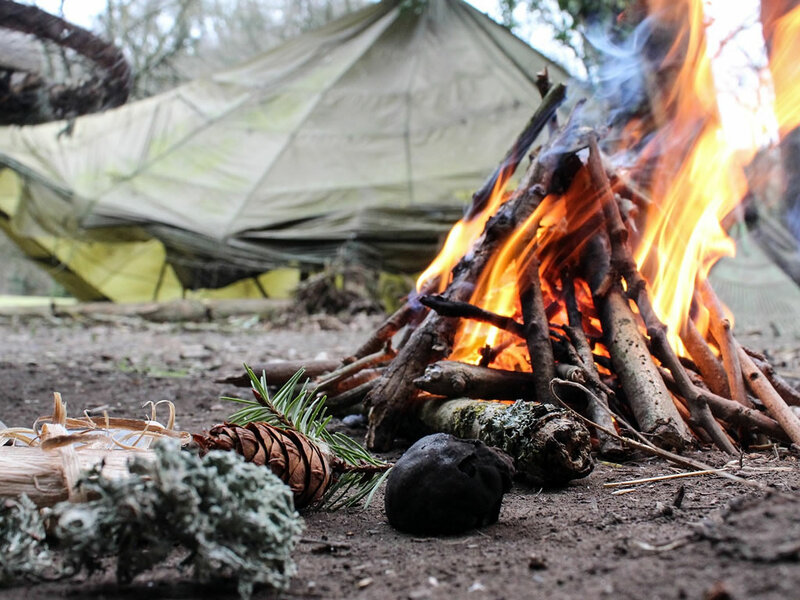 A basic bush craft course is a great way for beginners to explore what it means to truly live in the wild. This group activity takes place under the guidance of an expert forager and woodland trainer. 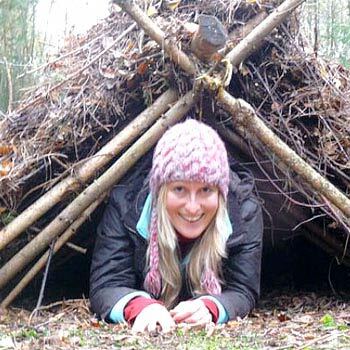 This course eases you into the idea of bushcraft, so you won’t be left to fend for yourself just yet! The day begins with a safety briefing, to ensure that you know what’s ahead of you. You’ll also be issued with your bushcraft knife. This is an essential tool that will see you through the hardest of challenges! Learn how to purify water, how to make a camp, how to prepare food, and how to light a fire. These are the four basic principles of survival, and once you have these skills under your belt, you should be able to adapt to anything that comes your way. When you leave, you’ll have more wilderness knowledge than you thought possible – perfect for exploring on your own with no fear! Head to Somerset or Gwynedd and learn how to make a fire, how to build a shelter, and how to recognise edible plants. Perfect for beginners. If you want to try something with a bit more time for indulging in your Wildman (or woman) fantasies, then you could opt for the Survival Camp experiences. Nature provides you with everything you need to make it through fairly comfortably, but will you have the skills to make it work for you? There’s only one way to find out! Experiences vary from a night in the wilderness to a few days on a training programme in the Scottish Highlands. You'll learn essential skills throughout although you won't truly be left to fend for yourself, so don't panic. Spend 24 hours on a survival course at the Bear Grylls Survival Academy. While you won't meet Bear, you'll learn his skills and tactics from a team of pros on the Brecon Beacons, South Downs, or on Dartmoor. For something a little gentler but no less useful, why not try the Map Reading and Navigation experience? This all but forgotten skill is a very handy one to have, and it means that you can go adventuring to your heart’s content, as long as you’ve got a map with you, as you’ll always be able to find the way home again. And it’s not just the map that’s important; you’ll also gain an insight into how to read landmarks and the terrain, how to find out where north is, and how to understand pacing and timing, meaning you’ll know exactly how far you’ve travelled, and how long it will take you to make it back to the beginning again (or wherever it was you intended to go in the first place). In the twenty first century, maps may seem a little outdated, but out in the wilderness without a 4G signal… they’re essential! Set out from Stoney Middleton in the Peak District National Park on a map reading and navigation exercise. Learn about contours, grid references, scales, hazard awareness, and compass-use as well as strategy, distance, direction, check-off, and overshoot. WHEN: Events normally take place on selected dates throughout the year. Weather isn't normally an issue as you can't always rely on good weather should you need to use your newfound survival skills in the wild. WHERE: Events normally take place at locations across the country. WHO: These experiences are perfect for the more adventurous people in your life – just turn them loose and see what skills they pick up along the way! Activities can be physically demanding so read the terms first to know exactly what to expect and to see if you're made of the right stuff. OCCASIONS: These courses are great birthday or Christmas gifts for anyone who watches Bear Grylls or Ray Mears on the telly and thinks it's all a doddle. It's also a great introduction if you're planning to go camping more often.